Posto 7 in Ipanema. All photos by Pavia Rosati. 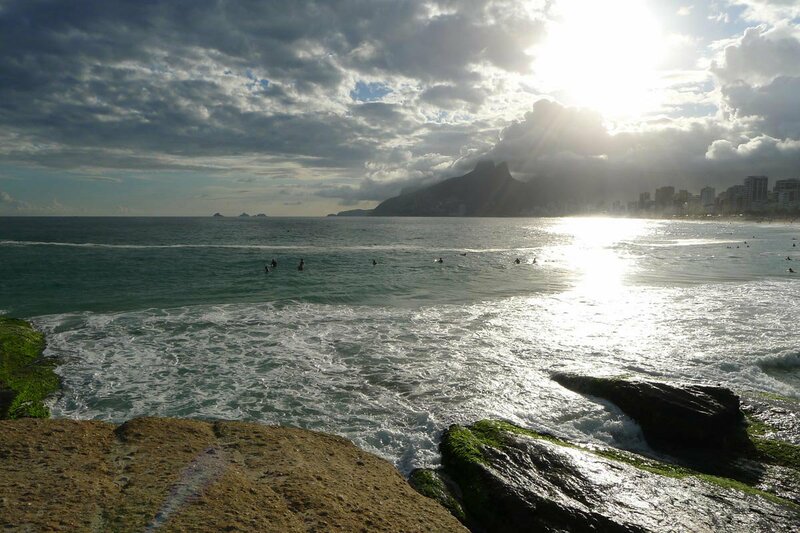 Popupla founder Pavia Rosati takes in Rio from various elevations, seaside to mountaintop. 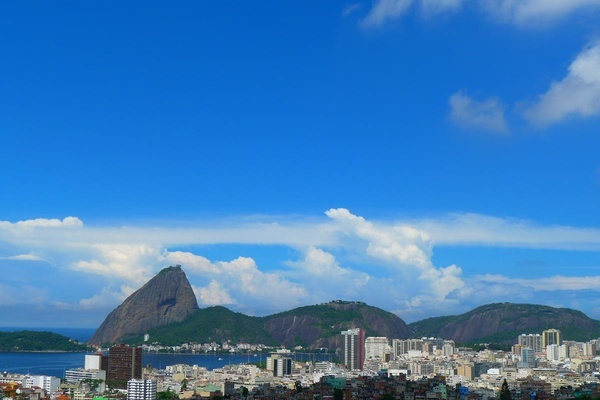 RIO DE JANEIRO – Rio is visually dazzling. A natural wonderland where mountains meet ocean, bays and inlets beg to be Instagrammed, and scenic palm fronds frame the whole gorgeous scene. You can enjoy the views from any vantage point, but you should vary your vantage point because the city is spectacular at every elevation. Looking out onto Pão de Açúcar from Santa Teresa. Corcovado is the mountain in the middle of the city, and it's from this perch that the symbol of Rio — the statue of Jesus with arms outstretched — looks down onto the city below. There can be a long wait to hop on the train up to the top, so go early. Once you get to the station, you can take the stairs, elevators, or an escalator up to the very top. Pão de Açúcar is the mountain in Urca, the tiny neighborhood on a peninsula next to Copacabana. It takes two cable car rides to get up there, time that should be spent discussing how the Portuguese dubbed the mountain "Sugarloaf" in the 16th century. 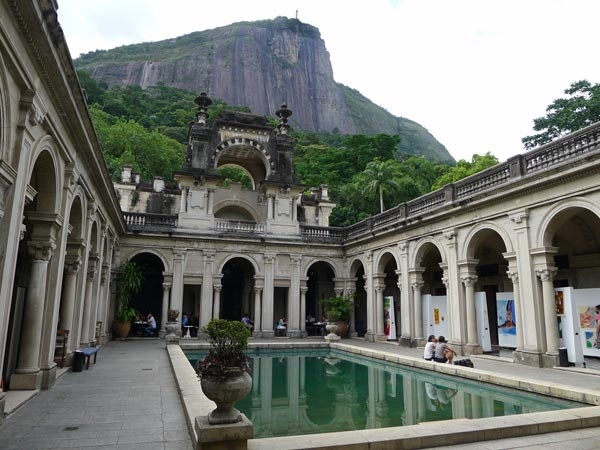 The cafe at Parque Lage, with Corcovado visible at the top of the mountain. Tijuca Forest is a touch of jungle in the middle of the city. Once you get here, it's easy to follow the trails, hire a guide, or hop in a Jeep and make your way to the stunning Macaco waterfall for a swim. On sits a mansion that has been transformed into an art school and café. An aquarium filled with tropical fish is built into a man-made grotto; an impressive cave of stalactites fills an actual grotto. One path leads to a crumbling and photogenic tower; another leads up, up, up to Corovado, which is visible from the café. Watch out for the monkeys frolicking in the trees overhead. This is a great place to spend a few quiet hours. Jardim Botânico is a huge garden east of Leblon that's filled with paths and fountains, pagodas and statues, and, of course, trees and flowers. The Avenue of Royal Palms at the entrance is incredible. 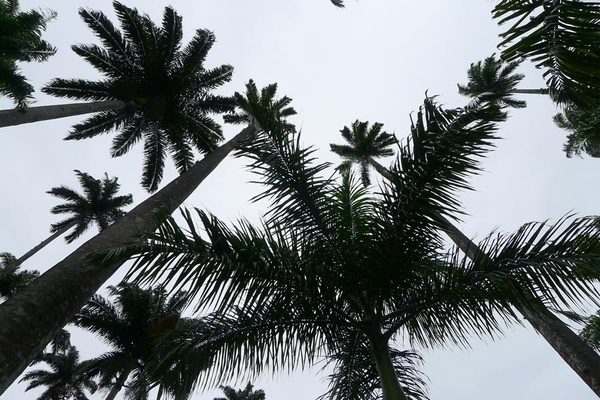 The Avenue of Royal Palms at Jardim Botânico. Posto 8 and Posto 9 along Ipanema are the beaches where the beautiful people hang out. The beaches in the Zona Sul are numbered and range from Posto 1 in Copacabana to Posto 12 at the end of Leblon. Remember that Carioca beach style is minimalist: Bring nothing more than a towel, sunscreen, and a few reals for a fresh juice and coconut. Arpoador Rock at Posto 7 between Copacabana and Ipanema is a giant boulder that juts into the ocean. Walk around, sit and ponder the great horizon, or simply to applaud the sunrise or the sunset. Praia do Diablo on the Copacabana side is usually empty and always romantic. Prainha and Praia do Grumari are beaches farther down the coastline past the tony Barra neighborhood. beautiful and secluded, they're popular with surfers. Panorama of Praia do Diablo in Copacabana.